Can I still hunt with my BAR 4 shot Browning, only want an "Expert" answer, no guessing. Yes you can until the new legislation comes through, then it will be banned. tetawa and xtightg like this. tetawa, Hen and nowool like this. The hinged mags can be removed and a larger capacity magazine installed....well if that the case,any gun can be modified! 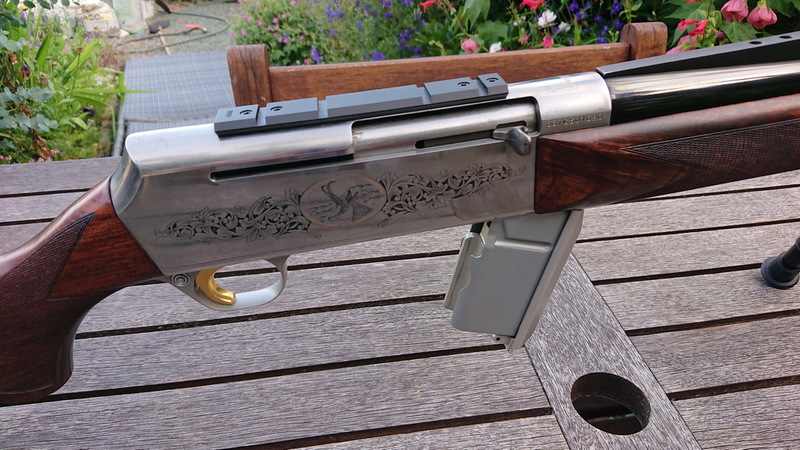 a semi-automatic firearm that is a shotgun and that is capable of being used in combination with a detachable magazine that is capable of holding more than 5 cartridges. Which means at the moment it is an A-Cat firearm. The new legislation banning all centrefire semi -autos has not been passed yet, so is not law. After it is passed ALL centrefire semi-autos are called a "Prohibited Firearm" there is no exemption for magazine style or size for centrefire semi-auto's. xtightg and ChrisW like this. veitnamcam, Mooseman, Cordite and 1 others like this. Quote..Which means at the moment it is an A-Cat firearm. The new legislation banning all centrefire semi -autos has not been passed yet, so is not law. After it is passed ALL centrefire semi-autos are called a "Prohibited Firearm" there is no exemption for magazine style or size for centrefire semi-auto's. I'm too f/n old to get this confused. Asked an Arms Officer who specialises in imports, he couldn't or wouldn't say. Someone told me Gun City was but you needed E cat. All times are GMT +13. The time now is 01:17 AM.